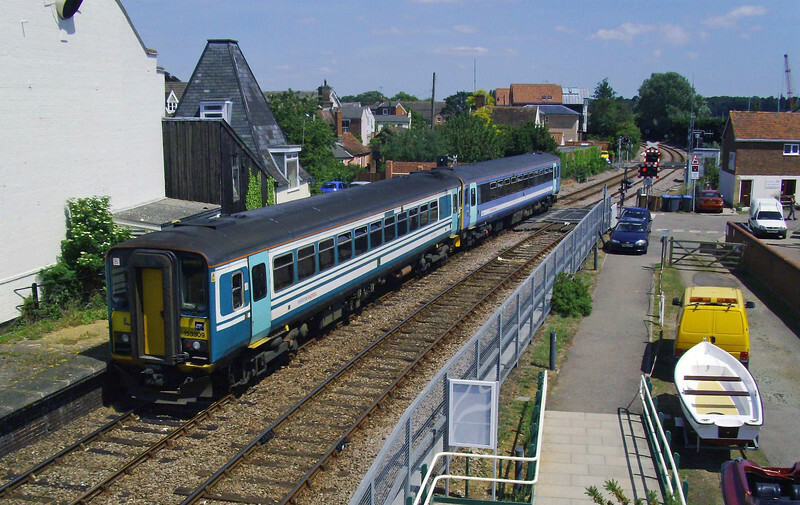 Pair of class 153 units leaving Woodbridge and traversing Ferry lane Crossing on 1st June 2011. The crossing became automatic on 8th December 1985. To the right of the fence was the Woodbridge Tramway.